For more than 40 years, bullying in schools has remained relatively stable and today is recognized as a serious social problem. In 2014, the Centers for Disease Control and Prevention (CDC) and the Department of Education released the first federal standardized definition of bullying, which includes unwanted aggressive behavior, observed or perceived power imbalance, and repetition of behaviors or high likelihood of repetition. In addition, the CDC and Department of Education acknowledged direct and indirect modes of bullying and four types of bullying that school-age children can experience: physical, verbal, relational and damage to property. According to the National Center for Education Statistics (2015), approximately 1 in 4 students in the United States reported having been bullied at school. However, evidence suggests that school-age children with disabilities are two to three times more likely to be bullied than are their peers without disabilities (for more, see the three-volume set Disabilities: Insights From Across Fields and Around the World). It is absolutely critical for professional counselors to assist those who are targeted and support proactive interventions that decrease bullying for students with disabilities. Intervention strategies that are grounded in social learning theory and established on client-centered, community-based and experiential methods have been shown to be successful with children who have disabilities. Such interventions have a positive effect on children’s self-efficacy, self-determination and social skills. Furthermore, counselors can adapt experiential-based activities to provide these students with opportunities to learn new skills, make decisions, experience successes and take calculated risks. Finally, counselors need to recognize the strengths of students with disabilities, teach them to feel comfortable with who they are and empower them to implement bullying prevention skills. This article will outline proactive prevention in terms of experiential group activities that focus on self-efficacy, self-determination and social skills training when working with school-age children with disabilities. 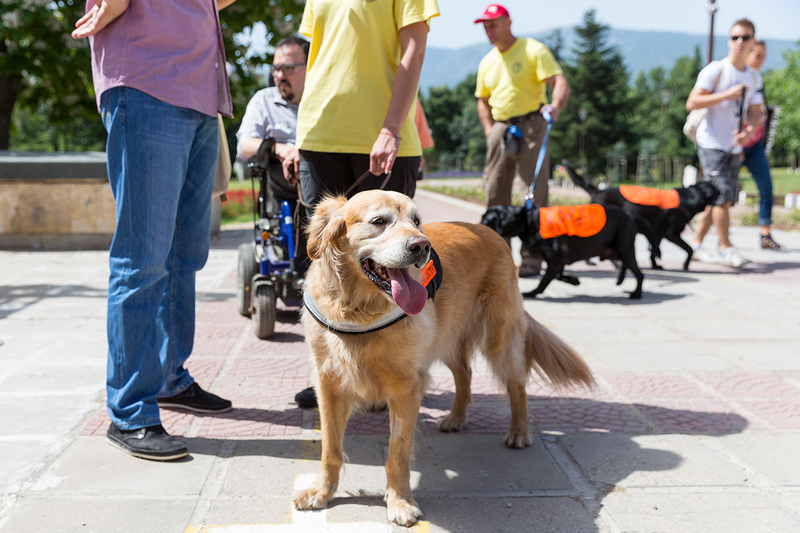 The experiential group activity we will be describing was originally developed by Able SC, an empowerment and advocacy organization in Columbia, South Carolina, for people with disabilities. We collaborated with Able SC and tailored the activity to meet the needs of middle school and high school students with disabilities. Prior to engaging group members in the experiential activity, several preconditions should be met. First, counselors must have a strong therapeutic alliance with the participants before engaging them in the group activity. Second, counselors should provide proper accommodations to address the unique needs of the group members. Third, counselors must be willing to be creative and flexible to adapt the experiential activity to the individual strengths of the group members. Fostering a strengths-based approach is imperative when helping school-age children with disabilities to explore their self-efficacy. Finally, counselors must display competence with multicultural social justice counseling before working with children with disabilities. The first part of the group facilitation process involves assisting group members with understanding the various types of bullying (i.e., physical, verbal, relational and damage to property). The role of the group leader is to facilitate a discussion about these various bullying types, which may prompt group members to recognize specific examples. Additionally, the group facilitator should discuss the importance of recognizing real or perceived power imbalance and determining how often the power differential occurs. In other words, was this a one-time incident, or was it done repeatedly to hurt the individual? The group facilitator must guide students in understanding these two concepts that help to define bullying: observed or perceived power imbalance and repetition of behaviors. The group facilitator should also assist students in understanding the confusing distinction between when someone is joking versus when someone is actually engaging in bullying behavior. To foster another mode of understanding, the group facilitator can also engage group members in a role-play demonstration to act out the different types of bullying. If the participants find it difficult to participate in the role-play, group facilitators can provide examples of the types of bullying to ensure support for students during the demonstration. In addition, it is important to identify the individuals involved with the bullying episode (i.e., bully, target and bystander) to provide clarity during the role-play. For instance, the group facilitator should discuss with group members how the bystander can be the most influential person in the situation either by acting as a solution to the problem or by instigating the bullying. Finally, the group leader encourages group members to identify characteristics of being a bully. This will help students to recognize these traits so they can avoid engaging with those who display such behaviors. After determining the group’s understanding of the warning signs, the group facilitator can propose an experiential group activity in which the group members identify strategies to manage bullying. The group facilitator can engage the students in a role-play scenario in which the target initially fights back. The facilitator should then prompt a dialogue on the positive and negative consequences of engaging in this approach. Next, the group facilitator encourages the group to identify nonviolent strategies that the target can use in the same scenario. This will prompt group members to recognize how implementing a nonviolent approach to bullying can be an effective option. Group members should be taught to understand the differences between the roles of bully, target and bystander and recognize appropriate prevention strategies that they can use if they find themselves in any of these categories. For example, the group facilitator could encourage the group members to identify effective prevention strategies specifically for the bystander role. These strategies include telling the bully to stop, helping the target to walk away, recruiting friends to intervene and getting an adult. To reiterate, it is important to provide group members with specific scenarios to ensure that they understand the differences between the three roles and know which prevention strategies are appropriate for each scenario. Furthermore, have group members share times when they have fallen into the specific category of bully, bystander or target to guarantee that they are addressing their personal experiences with bullying. This role-play provides group members with a greater sense of self-awareness as it relates to self-determination, self-efficacy and social skills. In addition, the role-play increases empathy toward others because group members vicariously experience the thoughts, feelings and behaviors of the target. Finally, the group facilitator can engage the group members in personal action plans to reinforce what was previously reviewed and to address steps to manage bullying (for a detailed figure outlining the personal action plan, see Katherine A. Feather’s 2016 article “Antibullying interventions to enhance self-efficacy in children with disabilities,” published in the Journal of Creativity in Mental Health). The facilitator asks the group members to independently acknowledge personal situations in which they have been bullied; their thoughts, feelings and reactions to the experience; how they handled it; and what they could have done differently. Once they have completed the chart, group members are prompted to share their stories if they feel comfortable. The personal action plan is an important part of the experiential activity because it gives group members something tangible they can take with them to remind them of what they have learned and that they can reference in the future. Finally, at the discretion of the group facilitator, group members are encouraged to discuss assertive communication and the various communication styles, such as the difference between “I” and “You” statements. This particular discussion can transition into recognizing the importance of self-advocacy and one’s ability to make informed choices. The group facilitator can end the session by reinforcing individual empowerment and emphasizing the group members’ potential to manage bullying. The tools used to combat bullying speak to the group members’ self-efficacy, showing them that they have the ability to exert control over their own behavior, motivation and social environment (as explained by Albert Bandura in his 1977 article “Self-efficacy: Toward a unifying theory of behavioral change”). 1) Assess whether a particular student would be a better candidate for individual counseling and modify the activity for individual, rather than group, counseling. 2) When implementing the experiential training, augment the activity to meet the needs of the group participants. For example, for the personal action plan, participants can use numerous mediums to complete the activity (e.g., act out the steps, cut out pictures from a magazine, draw, write, use note cards with words, use assistive technology, discuss steps verbally). 3) Delivery of the experiential group activity must be based on students’ presenting characteristics to ensure full understanding of the material. For example, counselors need to address a comprehensive range of needs among students with disabilities. Therefore, counselors can provide additional scenarios of the components for the activity. This will encourage repetition and opportunities for practice. Counselors are also encouraged to collaborate with school personnel to ensure that they are meeting the needs of the student and integrating all necessary interventions to promote student success. 4) This experiential group activity may not be applicable for all students with disabilities. We suggest that counselors consult and collaborate with school staff to gauge the appropriateness of the intervention for individual students. Counselors must intervene in a timely manner by recognizing, assessing and engaging students in activities that will combat bullying and provide them with the skills to be successful in the school environment. However, counselors must be sensitive to group membership. Therefore, counselors may want to consider making the group available to peers without disabilities. Inclusive practices may buffer against bullying by providing peer models to students with disabilities, as well as by promoting social competence among all students. Isolating students with disabilities does not provide them with the practice and validation they need to develop appropriate social skills. Thus, combining students with disabilities and their peers without disabilities fosters an inclusive approach and ultimately enhances a community of knowledge and understanding. Finally, prior to implementing this experiential activity, we encourage counselors to become familiar with the social model of disability and the capabilities framework versus the medical model of disability. The social model of disability is a different way of viewing the world and challenges the typical attitudes toward disability. Fostering a capabilities approach validates the ideologies of inclusion that stress equality, acceptance and valued participation. The capabilities approach is a holistic social justice initiative that assesses disability on the basis of one’s abilities and functioning within society. 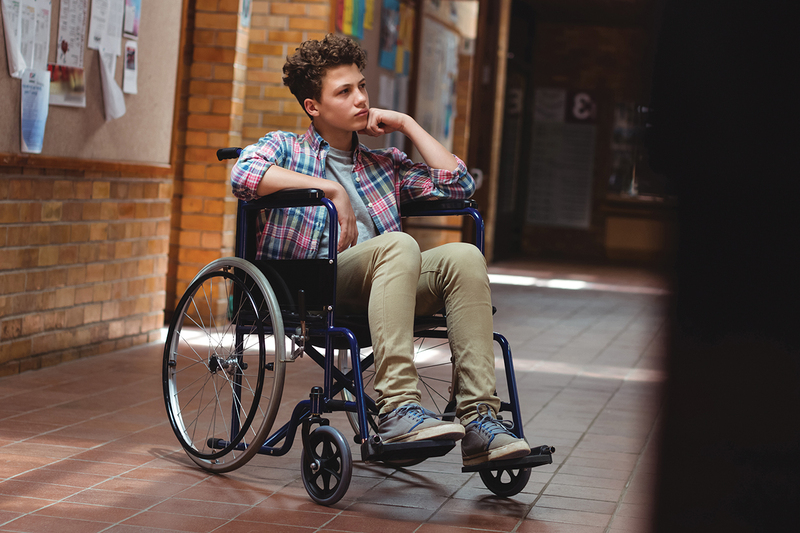 Counselors need to recognize the impact that society has on the individual and the barriers that students with disabilities face on a daily basis. Katherine A. Feather is a licensed professional counselor in Arizona and an assistant clinical professor in the Department of Educational Psychology at Northern Arizona University. Contact her at Katherine.Feather@nau.edu. Tiffany M. Bordonada is an assistant professor in the Department of Counseling and Human Services at the University of Scranton. Contact her at Tiffany.Bordonada@scranton.edu. For many counseling professionals, the exploration of forgiveness, self-compassion or resilience can seem daunting, particularly when determining ways to apply these concepts to people with disabilities and their specific needs. When approaching this task, counselors may ask themselves several questions, including: Where do I start? Which concept is most important? Is one of them more relevant for this population? How can I best help people explore one or all of these concepts? Good questions indeed but not always easy ones to answer. To help counselors understand each of these concepts, the three authors of this article developed a model called the therapeutic triad of disability. The therapeutic triad provides counselors a means with which to consider one or all of these approaches as a gateway to healing and a pathway to hope for clients. Susan Stuntzner’s experience: I am the director of disability services at Southwestern Oregon Community College and a lecturer for the University of Texas Rio Grande Valley. I have lived with a visible disability for more than 30 years. At the same time, I found myself feeling a sense of hope. I was already anticipating that my life would be filled with new adventures, personal growth, challenges and possibilities. I can’t explain why I felt this way, but I distinctly remember seeing myself at a vital fork in the road, and now my life purpose was to take the “left road” instead of the one on the right. Perhaps this was the start of resilience and the very beginning of great things to come. Over the next several years, I was faced with a number of experiences that I wasn’t prepared for, nor did I understand them at the time. Most of these experiences could be filed under what we know of today as negative societal attitudes toward people with disabilities: inaccurate beliefs, low expectations, bias, discrimination, oppression and a lack of equitable access to the opportunities and resources enjoyed by people without disabilities. This was a time when no one really discussed the experience of disability or the impact of society and barriers on people with disabilities. As a result, the process of figuring out what I was experiencing or what I should do was ambiguous at best. That may not be easy for some readers to hear, but I share it because all of these experiences set the stage for what was to come. I just didn’t know it yet. It wasn’t until about a decade later, while I was a master’s student in Portland State University’s counseling program, that I formally learned about the realities and impacts of societal attitudes toward people with disabilities, the coping and adaptation issues that people with disabilities often experience and the changes in relationships and expectations that this population frequently faces. It was at this point that my personal experiences finally “had a face.” I could look at my personal experiences and better understand why life was now very different from a societal perspective. Jacquelyn Dalton’s experience: I am a rehabilitation counseling educator, and I have had my own experience of living with a disability. However, my story is one of progressive hearing loss and the challenges and difficulties that come with that. I grew up in the “hearing world” but became profoundly deaf in my mid to late 20s. When I was in my late 30s, I pursued and received bilateral cochlear implants. Because of these implants, I am able to hear and to re-enter the world of the hearing person. However, this was not the end of my experience with disability. Throughout this time, I worked hard to figure out where I fit in the world. My situation was one in which I wasn’t accepted by the culturally or functionally Deaf population, nor did I fit neatly into the hearing world. As time passed, I sought out other means of coping and adapting to changes brought on by my hearing or my lack thereof. I too witnessed the face of societal bias, inaccurate perceptions and the overstepping of personal boundaries. Some of these issues were readily noticeable the moment I acquired a service hearing dog named Ainsley. Although providing a vital service and need, Ainsley suddenly made my hearing loss “visible” to the outsider and onlooker. With this experience came the presence of well-known issues that most people with disabilities encounter: strangers staring or gawking at them, invasive personal questions, unkind remarks and social intimidation tactics. To cope with these unexpected and difficult experiences, I began my own journey of exploration, which led to the discovery of mindfulness, meditation practices and Buddhist teachings. What is the therapeutic triad? The therapeutic triad of disability is a model and an approach to counseling that comprises three specific components: forgiveness, self-compassion, and resilience. Those who have embraced it have described it as a lifesaving strategy. People have told us that the therapeutic triad helped them move from a place of despair, darkness, anxiety and uncertainty to one of strength, hope and self-confidence. Through the therapeutic triad, these individuals discovered the power of forgiveness, self-compassion and resilience — and the interconnectedness of each component — on a journey of self-growth and personal healing. So, how did the therapeutic triad come about? In 2012, Susan was looking for a way to expand the use of forgiveness among people with disabilities. This led her to the exploration of forgiveness as a potential component of resilience. Not seeing a lot available on either component in relation to people with disabilities or as part of an integrated approach, she started to work on it. One outcome of this exploration and research process led to the development of Susan’s second book, Reflections From the Past: Life Lessons for Better Living. The book looks at a number of specific resilience-based strategies that people can use in everyday life. Each skill is categorized and housed within a specific resilience domain to help readers better understand the connection. Some of the skills presented focus on spiritual practices and forgiveness. From there, an opportunity presented itself to Susan to explore the applicability of self-compassion to the field of rehabilitation counseling and to the process of counseling people with disabilities. Soon thereafter, she participated in one of Kristin Neff and Christopher Germer’s intensive trainings for individuals wishing to delve deeper into the therapeutic value and vitality of self-compassion. Neff and Germer are co-founders of the Center for Mindful Self-Compassion. Occurring simultaneously, yet unknowingly, with Susan’s experience, Jacquelyn was undertaking her own personal exploration of mindfulness, meditation, compassion and self-compassion. Her life experiences led her to consider Buddhist practices, with some of her initial work being influenced by scholars such as Sharon Salzberg, Ron Siegel, and Pema Chodron. As part of these studies, she became mindful of the importance of compassion, acceptance and forgiveness in people’s lives. Later, she added to this understanding by familiarizing herself with Neff’s work and attending one of her workshops on self-compassion. Each of these pieces helped Jacquelyn better understand the interconnectedness between mindfulness, compassion, forgiveness and resilience, which she later started to apply to disability, trauma and other life challenges. Angela MacDonald, a licensed mental health specialist and clinician at Frontier Behavioral Health, journeyed through her own experiences and exposure to forgiveness, self-compassion and resilience as part of her education and counselor training. Throughout our individualized paths, we started to see the interconnectivity between these three therapeutic skills and approaches and, thus, the therapeutic triad of disability was developed. Each component of the therapeutic triad — forgiveness, self-compassion, resilience — is a portal or gateway to therapeutic healing and serves as a pathway to the other components. This is because people often begin therapeutic work in one area, only to discover that they could benefit from looking at other issues that are better addressed by one of the other two components. For example, as part of their collaborative resilience intervention research, Angela and Susan have exposed people with various disabilities to a 10-week resilience-based skills intervention, “Stuntzner and Hartley’s Life Enhancement Intervention: Developing Resiliency Skills Following Disability” (developed by Susan in collaboration with Michael Hartley of the University of Arizona). Over the course of 10 weeks and 10 different modules, these individuals learned and applied specific resilience-based skills to their lives. Modules six and seven focused on forgiveness and self-compassion, respectively. While learning about these skills, many individuals became acutely aware of their need to work on forgiveness and self-compassion as key components to their healing, making them willing to explore one or both at a later date. Angela regularly works with numerous people, individually and in a group context, on resilience and forgiveness. She witnesses people become more open to forgiveness after doing some initial work on resilience or sees people recognize the need for self-compassion after they have started learning how to forgive. It is amazing to watch people grow and draw from all three components as part of the therapeutic experience. People who practice forgiveness, self-compassion or resilience will experience a number of benefits, some of which are unique to that particular component and some of which overlap with the other components. To give counselors an idea of the benefits that these three components offer, let’s first consider some of the similarities. The therapeutic triad, regardless of where people begin, affords clients the opportunity to increase their self-insight into the thoughts, feelings and choices that they have and make. As a result, clients may come to recognize that they engage in thoughts, feelings and behaviors that are not helping them heal or move forward. When this happens, people can decide what they are going to do instead. An example of this was evident in the resilience intervention work that Susan and Angela conducted. By the third week of the intervention on resilience-based skills, participants had covered the meaning of resilience, the role of attitudes and beliefs, and the role of locus of control. It was during this time that a group member said, “You know? These exercises are really helping me see how I think and feel. I had no idea that I harbored this much negativity and that I talked to myself this way.” When the group member shared this insight, we asked him to be “kind and accepting” of his personal discovery and to realize that he also now had an opportunity to do something different. Forgiveness, self-compassion and resilience can be used to help people reduce negative thoughts (e.g., mental rumination, self-judgment, critical thinking) and feelings (e.g., anger, anxiety, depression, hostility), diminish fears and decrease negative psychological reactions to the disability. 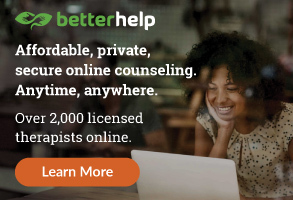 They can also help people heal emotional hurt, feel less socially isolated and more connected to others, improve social relationships (including the relationship that people have with themselves), improve self-esteem, find hope, develop the ability to sit with their pain, and be kinder and more accepting of themselves. In addition, each of these components may be a portal to another. For instance, when people work on forgiveness, they often realize they are not self-compassionate; thus, it provides a way to start working to change that. If resilience is the starting place, people often discover an accompanying need to work on forgiveness or self-compassion. Counselors working with people on the therapeutic triad have some options in the ways they can explore and address the barriers that people encounter as a part of the triad process. Like the benefits that people encounter, some of the barriers may be similar across the therapeutic components, whereas others will likely differ. Thus, counselors may want to consider which approach is best tailored for each person’s needs and situation. For instance, some may decide to use an educational or more formalized approach in exploring and discussing potential barriers. Such an approach may be particularly useful in psychoeducational settings or as part of group counseling. Others may decide to use the exploration of barriers as a key feature of preparing clients for work on forgiveness, self-compassion or resilience. Still others might address “barrier identification” work on an individualized level and discuss them as they surface in the counseling relationship. Susan and Angela, as part of their individualized and collaborative work, constantly revisit which approach works best for the situation, the person and the therapeutic context. In their collaborative group work, they have used a combined educational and self-assessment identification process. In the group setting, they typically educate group members about some of the barriers that people experience when working on a skill such as forgiveness, self-compassion or resilience. This is followed by the opportunity for group members to self-assess and explore their own personal barriers. Susan and Angela have found that this combined educational and self-assessment identification process helps people realize that it is OK to encounter some kind of barrier. People learn that barriers are part of the human condition and their presence does not warrant adding additional layers of shame, guilt or self-criticism to a person’s self-concept. In the end, people are empowered to make a choice to do something different. To help counselors better understand the plethora of barriers people may experience as part of the therapeutic triad, we will provide some examples. When exploring forgiveness, it is often difficult for people to ask for help in learning to forgive. Forgiveness is difficult because it is a personal process in which people are asked to face and address deep hurt and painful experiences. This process is compounded by the fact that some people believe that forgiveness is for the “weak” or that it is too hard to achieve. Others mistakenly believe that forgiveness is only for people who are religious or spiritual. Still others find it hard to forgive because they cannot “let go” of the pain or because they harbor feelings of blame toward themselves, others or God. People commonly experience barriers in the cultivation of self-compassion when they hold on to negative thoughts and feelings, have difficulty letting go of the past or engage in critical or judgmental thinking about themselves. Some people cannot find their way to a self-compassionate way of life because they spend most of their time thinking only of themselves, feeling sorry for themselves or believing they do not deserve self-compassion. 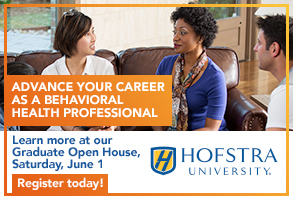 Counseling professionals interested in pursuing forgiveness, self-compassion or resilience work with clients are encouraged to consider a few initial questions, followed by employing some strategies as part of the therapeutic relationship. Which of these — forgiveness, self-compassion or resilience — is most relevant to the person’s situation? How do these skills relate to the person’s experience of living with a disability and its associated life changes? Does the person seem more receptive to one of these approaches than the others? What beliefs or practices does the person have or follow that can aid in this exploration? In the given situation, which of the skills is most important for positive coping and adaptation to disability? How can I help the person start on one area and use it as a portal for healing in another? Do I cover each of these skills separately or as an integrated part of an intervention? Professionals who are counseling clients with disabilities can choose from a number of strategies, especially given the multiple paths for cultivating forgiveness, self-compassion and resilience. The key is to find those that work for the person and that are relevant to the individual’s experiences. As previously mentioned, each of these skills often opens the door to another, so there is no one right place to begin. Having said that, Susan and Angela have found that it often helps people to consider forgiveness and self-compassion after doing some initial work on resilience. Part of this may be because many of those with whom they have worked were exposed to forgiveness and self-compassion while learning resilience-based skills. As part of the process to build resilience, people often realized their need to work on the other two components. Counselors may elect to work with people individually, in groups or in a way that accesses some of both. 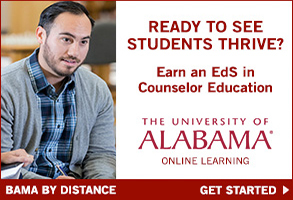 Counselors can approach the therapeutic triad from a psychoeducational approach, an intensive therapeutic approach or a specific counselor theory. 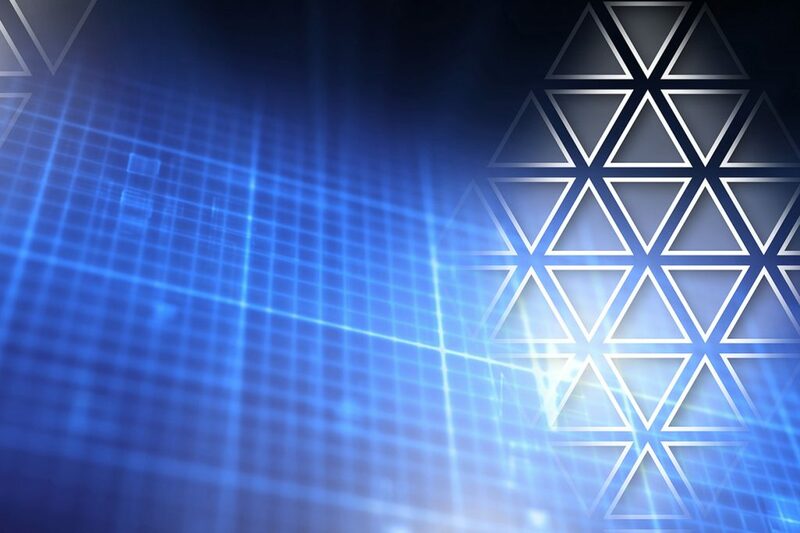 They can also infuse techniques such as educational topic sessions, self-assessments/insight-driven exercises, bibliotherapy, specific exercises geared toward skill cultivation, interventions, meditation and spiritual practices, writing and reflection exercises, and therapeutic homework. To learn more, visit The Thoughtful Counselor podcast archives (thethoughtfulcounselor.com/all-episodes/) for a two-part conversation that Mike Shook facilitated with Susan Stuntzner and Angela MacDonald about the intersections of disability and forgiveness, self-compassion and resilience (episode dates: Feb. 17 and Feb. 21). Susan Stuntzner is the director of disability services at Southwestern Oregon Community College and a lecturer for the University of Texas Rio Grande Valley. She is a licensed professional counselor (LPC), licensed mental health practitioner, certified rehabilitation counselor (CRC), national certified counselor (NCC) and board certified telemental health provider. Contact her at susan.stuntzner@socc.edu. Jacquelyn Dalton is an assistant professor in the Texas Tech University Health Sciences Center within the Department of Clinical Counseling and Mental Health. She is a CRC and an NCC. Angela MacDonald is a licensed mental health specialist and clinician at Frontier Behavioral Health. She is an LPC, CRC and NCC. Group counseling can serve as a powerful antidote to the isolation clients often feel, whether they’re going through infertility, addiction or a range of other issues. 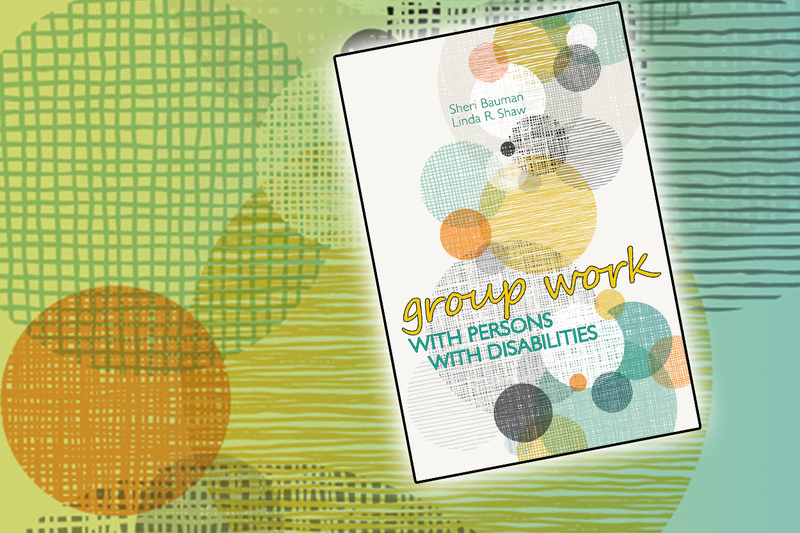 This can be especially true for clients with disabilities, say Sheri Bauman and Linda Shaw, co-authors of the American Counseling Association-published book Group Work With Persons With Disabilities. Bauman and Shaw are both professors in the University of Arizona’s Department of Disability and Psychoeducational Studies. They collaborated to write Group Work With Persons With Disabilities to use in a course they co-teach on group work. The group dynamic in and of itself can be a powerful counseling tool. Please talk about how this can be the case, particularly, for clients with disabilities. The therapeutic or curative factors in groups are well known. It’s not unusual for people with disabilities, particularly newly acquired disabilities, to feel that their experience is unique and that their disability can be socially isolating. Consequently, the following curative factors may be of particular relevance for persons with disabilities: universality (realizing one is not alone in their struggles); instillation of hope (seeing other members who are living full and productive lives, despite myths and misconceptions about disability); cohesiveness (the feeling of belonging that develops within a group); interpersonal learning (discovering, through group feedback, how others see them; having the opportunity to practice new skills in a safe environment); and the imparting of information (learning practical medical management skills and information about negotiating social and physical barriers in their environments). There are others but these are particularly relevant. 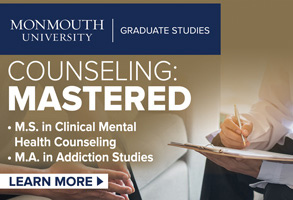 What would you want counselors to know about this topic — Especially counselors who may not have encountered it in graduate school? Regardless of a counselor’s specialty area of practice, it is highly likely that sooner or later people with disabilities — who are about 20 percent of the population — will seek services from them and just like any other clients, many will be potential group members. People with disabilities have all the same kinds of issues any other person may have, so it is likely that they will appear in groups with a variety of themes. Often when people with disabilities seek assistance from a counselor, there is a tendency on the part of the counselor to assume that the disability itself is the source of the problem. Counselors should guard against the tendency to do this, as the issue may or may not be related to the disability. Just as they would approach any other client, the counselor must see and address the needs of the whole person. Including questions that invite discussion about disabilities (some are invisible) in screening interviews will alert the counselor that some accommodations may be needed, and give the counselor the opportunity to seek out additional information if unfamiliar with the needs of individuals with this particular disability as it applies to group participation. Although people’s disabilities are an important aspect of their identity, they are more than their disability. In our book, we provide counselors with background information and specific skills that will allow them to conduct groups with this clientele successfully. In your opinion, what makes counselors a “good fit” for leading groups with clients with disabilities? A counselor who is sensitive to diverse groups will be able to bring that sensibility to include persons with disabilities. Counselors who are able to reflect on their own potential biases and fears will bring honesty to the experience and serve as important role models to other group members. Counselors also need to be open to learning additional information that would increase their comfort level and competency in working with diverse group members, including those with disabilities. People with disabilities are not different from other group members. Just as in working with any diverse group, having an understanding of the particular needs of these members is an important area of cultural competence. Do you feel that, in general, counselors might have misconceptions or gaps in knowledge about group work with clients with disabilities? Just as in the general population, persons with disabilities are often overlooked and misconceptions are common. Generally, people without disabilities tend to believe that disabilities have a much more negative impact on quality of life than do people with disabilities themselves, and they may see “successful” people with disabilities as heroic or especially admirable. Additionally, many people assume that the most important life task of a person with a disability is to “overcome” their disability. In point of fact, many people with disabilities see their disability as part of the natural diversity of people, and that the problem is not so much the disability itself, but rather the barriers to full participation in life created by physical and attitudinal barriers. Adjustment to disability is seen as a social, rather than a personal problem. Many counseling training programs touch on disabilities only tangentially, and thus indirectly convey the message that this is not a group that counselors will encounter in their practices, unless they specialize in disabilities. The reality is that persons with disabilities may have relationship problems, financial problems, stresses, depression and all of the same kinds of concerns that bring nondisabled people to groups. What advice would you give to a counselor who might want to refer a client to a group? What should they keep in mind? How can they find an appropriate group in their area? Groups provide many opportunities for growth for persons with and without disabilities, as well as for the counselor. Groups offer many advantages over individual therapy, such as the chance to learn and practice new skills in a safe environment, to receive feedback from others, to learn from others’ experience, to develop relationships, etc. Counselors referring a person with disabilities to a group should prepare the client just as they would any client when making a referral. In our book, we discuss a number of screening considerations, such the advantages of homogeneous vs. heterogeneous groups, which may be important in finding a good match for the client’s present needs. Logistical issues may also be important to consider, such as access, availability of public transportation, etc. These issues are discussed in detail in our book. Be careful to avoid making assumptions about what a client can and cannot do; counselors sometimes underestimate the potential of clients to benefit from the group experience. The best expert on the client’s abilities and needs is the client him or herself. What inspired you to collaborate and write this book? [At University of Arizona,] we have graduate counseling programs in both school and mental health and rehabilitation specializations, and we both teach sections of a group counseling course that is required of students in both programs. When planning for this course, we were unable to locate a suitable supplementary text to address this important topic – so we wrote one! Additionally, we wanted to provide a resource to practicing group counselors who may feel that they would benefit from increasing their knowledge about disability and wish to expand their capacity for cultural competency and inclusiveness. Sheri Bauman is professor and director of the counseling graduate program in the Department of Disability and Psychoeducational Studies in the College of Education at the University of Arizona. She has a background in public school counseling. Linda Shaw is professor and department head in the Department of Disability and Psychoeducational Studies at the University of Arizona. Her background is in rehabilitation counseling; she is a licensed mental health counselor and a certified rehabilitation counselor and was a member of ACA’s Code of Ethics Revision Task Force in 2014. “Rose” and “Steve” came to American Counseling Association member Laura Marshak for couples counseling because they felt they had been growing further and further apart ever since their son, “Sammy,” who was now in elementary school, had been born with cerebral palsy. Out of necessity, Steve had become the primary breadwinner for the family, while Rose left her job to provide the extensive care that Sammy required. Over time, Steve buried himself in his work, while Rose handled Sammy’s daily needs. She shuttled Sammy to his appointments for speech therapy, physical therapy and other specialized services and also took on the task of petitioning Sammy’s school for an Individualized Education Program. Rose felt she was doing all the heavy lifting and resented Steve because she thought he wasn’t helping enough with Sammy’s care. Steve, on the other hand, thought Rose didn’t appreciate how hard he was working to secure their financial future. Angry and resentful, they rarely spent time together as a couple, says Marshak, whose specialties include counseling parents of children with special needs as part of a group practice in Pittsburgh. According to Marshak, the author of the recently published book Going Solo While Raising Children With Disabilities, Rose and Steve’s story is not unusual. Instead, it is an all-too-common experience shared by many other couples who have children with special needs. As loved and wanted as these children may be, the unavoidable extra care they require can take a toll not just on parents but also on siblings and the family as a whole. When a child has special needs — whether physical, medical, intellectual, emotional or educational — parents may find it necessary to alter virtually every facet of family life. For these families, it can sometimes seem as if every resource, from time to money to even patience, are continually at risk of being exhausted. Depending on the severity of the child’s disability or special circumstance, the family may need access to intensive medical, health or other services such as occupational or speech therapy; specialized education and possibly job training; and help with daily tasks that other families may take for granted, from basic hygiene to learning and applying social skills. Because efforts are understandably focused on navigating the day-to-day and moment-to-moment challenges of addressing their child’s special needs, another very important need can often get pushed to the side: maintaining the overall health and well-being of the individual family members and the family unit as a whole. Parents can struggle to take time for themselves while caring for their children. Marriages and partnerships can be tested or neglected. Siblings might struggle to cope with disparate levels of parental attention, feeling they have been left to face life’s challenges on their own. That’s why counselors can play such an important role in helping these families not just meet the special needs of their children, but also attain a better sense of equilibrium. Charmaine Solomon, a licensed professional counselor (LPC) and sole practitioner in Plano, Texas, says that when families of children with special needs come to see her, they are generally looking for help with the day-to-day issues. One issue that comes up frequently is discipline. Solomon, a member of the Texas Counseling Association, a branch of ACA, has a now-grown son who suffered a traumatic brain injury as a child that left him disabled. This personal experience has informed her counseling practice. One of Solomon’s areas of focus is working with children and adults who have special needs such as autism and intellectual disabilities. She is also one of the founding members of My Possibilities, a continuing education day program for adults with special needs located in Plano. Considering everything else that the parents may be struggling to manage, a child’s acting-out behaviors may seem like a relatively minor problem, particularly when the child is young, Solomon says. However, as the child gets older, this lack of discipline may become virtually unmanageable or, in some cases, even lead to violence, she notes. Parents who focus on punishment when their child with special needs is acting out or showing aggression may find themselves locked in an escalating punishment cycle until seemingly the only solution left is to ground the child for life, says Erik Young, an LPC in West Chester, Pennsylvania. He has worked with individuals with special needs and their families for the past 20 years, including in a rehabilitation center, a life-skills training organization, a behavioral health care organization and, for the past four years, as a private practitioner. Young and his wife have also provided foster care for several children with special needs. When parents come to Young for assistance with their children’s behavioral problems, he helps them develop a behavioral plan, which will vary according to the child’s problem behavior and capabilities. For example, many children with intellectual disabilities possess poor verbal communication skills, and their inability to communicate effectively may be part of the behavior problem, he says. Young frequently works on communication skills with the child and parents, giving the child a book or tablet device with pictures that the child can use to indicate what he or she wants. Discipline strategies will vary from child to child, says Solomon, but should typically focus on reward and reinforcement rather than exclusively punitive measures. For example, parents should focus on what the child really enjoys, such as spending time on an iPad, and start by setting a time limit on the activity, Solomon explains. If the child displays the desired behavior, the limit will be increased, but problematic behavior will result in decreased time with the pleasurable activity, she says. When appropriate, Young likes to use cognitive behavior therapy (CBT) to uncover what the trigger or cause of the child’s behavior problem might be. Conversely, it may be that a child’s behavior is not truly problematic but is simply angering or frustrating to the parent for some reason, so he will also use CBT to help the parent understand why. Young will then develop a behavioral plan that may include teaching the child and parents strategies for anger management, emotional regulation and so on. Robert Jason Grant, an LPC and sole practitioner in Nixa, Missouri, also works with both the child (mainly children who are on the autism spectrum) and the child’s parents to explore factors that contribute to behavioral issues. For instance, he explains, punishment for certain behaviors isn’t successful with children who have autism because these children engage in impulsive behavior. Instead, Grant says, behavioral work should focus on what is causing or contributing to the problem. Because children with autism typically possess little or no ability to regulate emotions or process sensory input, emotional and sensory dysregulation are often the main contributing factors to these children’s discipline problems, he says. Sometimes, all these children need is to “reset,” Grant says, and that can take as little as 10 minutes. Grant also works with children and parents to tackle the dysfunction head on. He has designed a specific approach that he calls AutPlay, which is a combination of behavior and play therapy for children who have autism. The play therapy tools he uses include objects such as weighted vests, weighted balls and other sensory toys because children who are on the autism spectrum find these items soothing, he says. Parents can use these toys at home to continue the therapy, and that is important because dysregulation requires constant maintenance, he says. The benefits of effective discipline go beyond managing specific behavioral issues, Solomon says. When parents discipline a child who has special needs, they are teaching him or her how to tell right from wrong and also how to accept instruction, she asserts. Knowing how to make decisions and how to follow instructions contribute to a child’s sense of independence, adds Solomon, who believes that parents should always be working toward increasing the child’s level of independence. For instance, some children with special needs may require help feeding or dressing themselves beyond the age that is typical for completing those activities independently, Solomon says. Although it is often easier to continue to dress and feed a child who has difficulties, parents should keep working toward teaching the child to do these things on his or her own, she asserts. Solomon acknowledges that this process can take a little — or a lot — longer, but in many cases, she says, the child will eventually have the capability to do it. The same holds true for many other self-care and independent activities that will ultimately benefit the child, she says. Letting children with special needs do everything they are able to do can also bolster their self-image, says Susan Stuntzner, an assistant professor in the School of Rehabilitation Services and Counseling at the University of Texas, Rio Grande Valley. On the flip side, automatically doing everything for a child who has a disability can send negative messages about his or her capabilities and value and also create a sense of learned helplessness, she says. As children become more self-sufficient, this generally eases the pressure on parents. But parents of children with special needs sometimes come to believe that they are the only ones who can — or should — provide adequate care for their child, Solomon says. Unfortunately, being constantly on call, and with no relief in sight, tends to only cause more problems, she says. Young says that although families may initially come to counseling for help with a specific problem such as discipline, he also probes for any other stressors with which the family is having difficulty coping, either as a group or individually. There really is no way to fully prepare for the needs of a child with a disability until you have to do it, he says. Families are suddenly faced with the need to obtain — among other things — health, medical and disability services, Young explains. Further complicating matters is the fact that there is no one central place to obtain services. Disability and educational assistance vary from state to state, and health and medical services are usually secured through insurance plans with varying levels of benefits, Young and Solomon point out. In addition to coordinating outside services, parents must come up with a plan for meeting the child’s daily needs, Young says. Children with special needs may require additional help with daily activities such as getting dressed or even eating. Children with disabilities may need constant care, meaning someone has to be watching them at all times, Young adds. This means spouses and families may have to engage in tough discussions and make significant compromises. For instance, who stays home to provide care to the child? Who will be on call to take the child to any therapy that he or she might require? To address these needs, one parent will often stop working, which can creates an additional source of stress: money and finances. Caring for a child with special needs can be a 24-hour job that many families assume they can and should engage in alone, Solomon says. But if all of the family’s time and attention is spent on taking care of the child, who is taking care of the family? “Oftentimes, families are trying to figure out how to tend to their family member’s needs and concerns to the point that they forget they have their own set of needs,” says Stuntzner, an ACA member who also writes and speaks about living with a disability. “As a result, families … may experience personal or caregiver burnout.” In fact, if parents consistently ignore their own needs, they may eventually grow resentful of how much help their child requires, she warns. Young works with families who are dealing with a child’s special needs or circumstances to help them recognize that they don’t have to do it alone and that resources are available to them. He points out that he, or any other counselor, can offer the family a neutral source of support — someone to talk to who doesn’t have any kind of emotional attachment or agenda but understands what the family is going through. Because Young also has connections (from his time working in a rehabilitation center and a behavioral health care organization) to state and local agencies that help provide services, he can point these families in the right direction. He even keeps a binder of business cards that he has gathered over time, based on personal or client experience, for tradespeople such as plumbers and handymen who are used to coming to homes with children with special needs and who won’t be disturbed by outbursts or other behaviors that might be regarded as outside the norm. When Grant works with parents of children with autism or other special needs, he always emphasizes the importance of self-care. He teaches parents how to conduct a self-care inventory so they will start actively thinking about caring for themselves. Encouraging family members to engage in self-care sometimes requires a shift in perspective. For instance, self-care can mean something as small as taking a few moments during the day to indulge in something the individual really enjoys, Young notes. “Instead of a week on the beach — because that’s probably not going to happen — what can they do during the day? [It’s] just little moments that can be refreshing,” he says. When a child is born with special needs, becomes disabled or is diagnosed with a disorder, Young says, it is common for extended family members and friends to draw back at first, often because they feel like outsiders and aren’t sure what they can do to help. So Young encourages families who have a child with special needs to actively reach out to others, explaining that maintaining a solid social network is crucial for both emotional and practical support. With a support network, parents can also build a system of respite care. Once a child is used to being with a caregiver, the parents can take breaks, possibly even getting away for a day trip or weekend vacation, Solomon says. Sometimes families won’t seek any kind of support because they feel ashamed of their struggles, Solomon says. Rather than isolate themselves further, she encourages these clients to seek out others families of children with special needs. She suggests that parents contact local mental health agencies to find support networks. Young says that lately he has been providing more couples counseling than family counseling because the primary issue for many of his families who are dealing with special needs is actually a problem with the parents’ marriage or partnership. The stress of caring for a child with special needs can take a particular toll on a couple’s relationship, he points out. Solomon agrees, noting that respite care isn’t just important for parents as individuals but also as a couple. When providing focused care to a child with special needs, it can be particularly challenging to find the time or the energy to just be a couple, she says. Identifying someone who can provide caregiver support can allow couples to take much-needed time for date nights or even a short trip, she adds. Parenting styles can also drive a wedge between couples who are caring for a child with special needs, says Young, who uses talk therapy with couples. If parents can’t agree on how best to care for or discipline their child, it creates a continual source of conflict, he says. Young helps couples learn to communicate with each other about what they want and need and how best to compromise, if needed. Young also specifically addresses differing parenting styles with couples, such as when one partner is more authoritarian and the other is more nurturing. 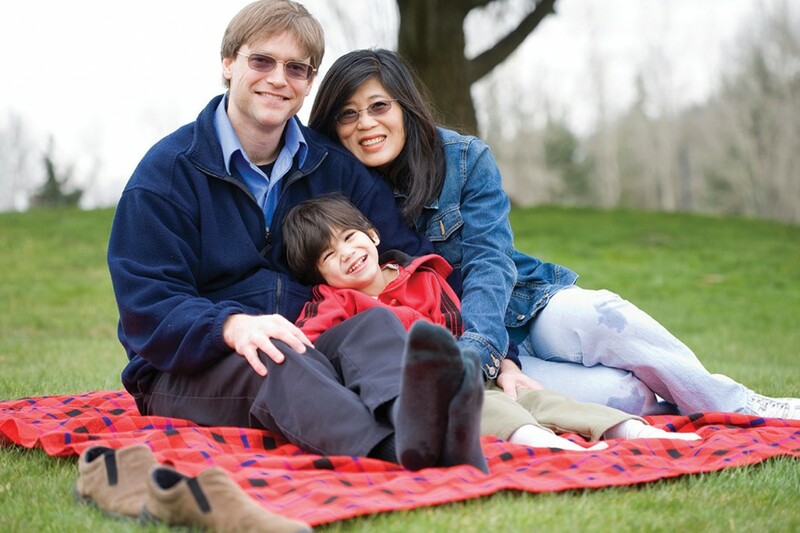 He works with these couples to develop a joint parenting style that is balanced — both authoritative and nurturing. Young also works with the parents in session to practice planning for specific concerns. He asks them to think about how they were raised and how that influences the way they parent today. This exercise helps to spur conversations that can uncover differences in the way they view parenting, he says. Young then helps the couple to negotiate these differences. Sometimes it’s not parenting style — but substance — that causes the problem. Solomon says disparate distribution of parental responsibility is often a source of tension in families managing special needs. She regularly sees mothers who take all the responsibility for caregiving — either by choice or necessity — which leaves little time for other relationships. Solomon tells her clients that parents need to share responsibility. For example, when possible, fathers should take a turn accompanying the child to therapy. If the mother is the sole caregiver during the day, the father should give her a break by taking on extra duties at night. Marshak’s couple, Rose and Steve, offered an example of disparate responsibilities — or at least that was how it appeared to Rose. With Marshak’s help, the couple began to discuss the underlying tensions and motivations that had led them to their crisis point. When Sammy was first born, Rose was deeply depressed and wanted to talk about her grief with Steve, explains Marshak, who co-authored the 2007 book Married With Special Needs Children: A Couple’s Guide to Keeping Connected with Fran Prezant, a speech and language pathologist and researcher on disability issues. Steve, however, preferred to avoid discussion and bury himself in his work. Rose thought Steve’s silence meant that he didn’t care about her or Sammy, but focusing on work and providing for his family was actually Steve’s coping mechanism to deal with his grief. As time passed, Rose spent her time learning as much as she could about cerebral palsy and seeking support through a network of other mothers who had children with the disease. Steve worried constantly about how to financially support his family in the present and how to make sure there would be money for his son in the future in case Sammy couldn’t support himself. So Steve worked even harder. Guided by Marshak, the couple discussed all of these issues in counseling. Rose began to understand that work was Steve’s way of coping with his feelings of grief and worry and that even though he wasn’t sharing his grief verbally, that didn’t mean he wasn’t hurting. Steve learned to become more expressive with his feelings. Rose and Steve also worked to re-establish their romantic connection by going out as a couple again and trying to view each other as the individuals with whom they had fallen in love — not just as Sammy’s parents, Marshak says. Over time, as they re-established their bond as a couple, they also started to adjust their roles, including sharing more of the responsibilities related to Sammy’s educational and medical needs. Rose even resumed some of the leisure activities she had given up when she felt she was solely responsible for Sammy’s care. When working with a family who has a child with special needs, it is also important for counselors to take time to focus on the needs of family members who may get overlooked, or at least feel like they are overlooked — siblings. Grant sometimes works with siblings on their own so they will know they have an outlet for their struggles and frustrations. “One of the biggest challenges [for siblings of a child with special needs] is the feeling of having to take a step back, of giving up things for their sibling,” he says. Out of necessity, the child with special needs is the family’s biggest area of focus. To the child’s siblings, this circumstance can seem not only unfair but also as if the parents are choosing to favor the child with the disability or special needs, Grant adds. When Solomon’s son who is disabled was a child, his siblings struggled with feeling forgotten. “I had to teach my [other] sons the difference between ‘have to’ and ‘want to,’” she recalls. Solomon sat down with her sons and explained that it wasn’t a matter of wanting to spend less time with them but rather that their brother needed more of her time. As the siblings of a child with special needs get older, they may also start to worry about or feel responsible for their brother or sister, Grant says. He regularly teaches siblings games that they can play with their brother or sister who has special needs that will help the child to cultivate specific skills. One such game is called Social Skills Fortune Tellers. Grant teaches the “neurotypical” sibling — the fortune teller — how to make an origami structure with tented triangles that can be manipulated with the fingers so that different sides or flaps of the triangle show. Each flap holds a social skill to practice. The fortune teller manipulates the origami and reveals a skill, which the siblings then practice, Grant explains. As an alternative, the origami can also be used for emotions, he says. When a particular emotion is revealed, both the neurotypical sibling and the sibling with special needs can share a time when they felt that particular emotion or make a face that demonstrates that feeling. Grant also uses family play therapy techniques to allow siblings — and all family members — to express how they are feeling or what they are thinking about issues such as how autism is affecting the family or how the parents are parenting. One technique is called “color my feelings.” Each family member uses a white piece of paper with a heart drawn on it. The family members color the hearts with whatever color best represents their feelings, he explains. 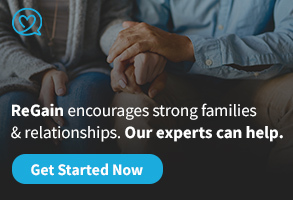 The family members then share their hearts, allowing everyone an opportunity to talk about the feelings they are having and why they are experiencing those feelings. It is painful to contemplate, but there will come a time when the parents are no longer there to help their child with special needs, Solomon says. That is why she is adamant about encouraging her clients to plan for that future now. Solomon tells parents that they need to consider questions such as: Who will take care of the child? What services will the child need? Where will the child live? Where will the money to pay for the child’s needs come from? She helps parents learn what guardianship is and urges them to start planning immediately for the lifelong financial needs related to providing for someone with a disability. Solomon also notes that it is important for parents to apply for disability services well ahead of time. Once a child graduates, he or she loses any benefits, such as ongoing speech therapy, that the child’s school provides, she points out. Solomon adds that in Texas, there is currently a 12-year waiting list for state services. Young also helps families come to grips with the reality of planning for a child’s ongoing support once the parents are gone or are no longer able, for health or other reasons, to continue providing care. Although he acknowledges it is a difficult conversation to have, he sits down with families and helps them develop a long-term plan by investigating options such as sheltered workshops and group homes. Young also emphasizes the wisdom of financial planning with insurance agencies that specialize in estate planning and special needs trusts. From Solomon’s perspective, this planning process also comes back to encouraging children with special needs to develop as much independence as possible and teaching them skills to help prepare them for the future, just as parents do with any child. “Just like with another child [without special needs], you ask, ‘Have you done your homework? Practiced your instrument?’ With the child with special needs it’s, ‘Did you practice doing your buttons? Did you take a shower?’” she says. It’s still homework, she adds, but homework of a different sort. Young says it is important for counselors to empathize with parents about the challenges of raising a child with special needs. At the same time, he encourages parents to let go of the idea of what “could have been” and instead embrace the child that they have because each child with special needs also has his or her own beautiful gifts. The American Rehabilitation Counseling Association, a division of the American Counseling Association, is an organization of rehabilitation counseling practitioners, educators and students who are concerned with enhancing the development of people with disabilities throughout their life span and in promoting excellence in the rehabilitation counseling profession’s practice, research, consultation and professional development. To learn more, go to the ARCA website at arcaweb.org. The International Association of Marriage and Family Counselors, also a division of ACA, is an organization whose members help develop healthy family systems through prevention, education and therapy. For more information, visit iamfconline.org. Yes You Can! : Art-Centered Therapy for People With Disabilities, an ACA DVD presented by Judith A. Rubin. To purchase the DVD, go to the ACA bookstore (counseling.org/publications/bookstore).